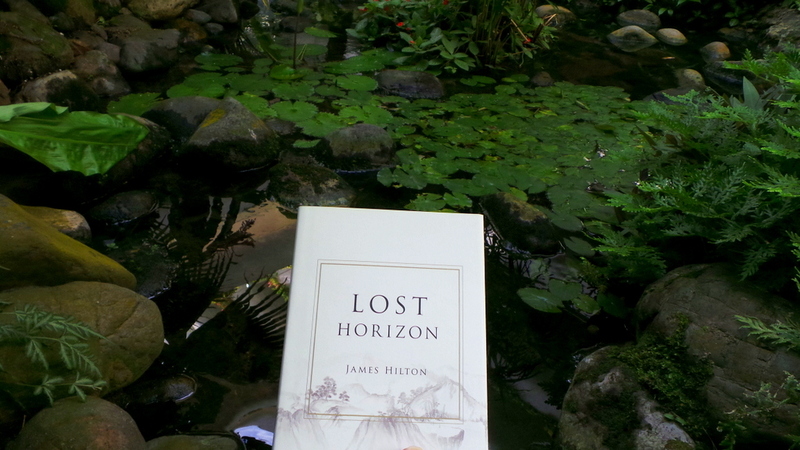 Not many people know that the group of Shangri-la Hotels was born out of inspiration from this 1933 novel. And if you have stayed in at least more than 2 Shangri-la hotels worldwide, you would know that they really try to create a signature but personalised feel and service in their hotels that make a lasting impression. I need not be as descriptive as James Hilton (who had vivid images of a man ‘exalting in the techniques of murder’), I can definitely say that all Shangri-la properties are a very welcome respite away from the usual busy life. And so it was an absolute pleasure for me to stay at the world’s very first Shangri-la (opened 1971) during our weekend in Singapore. 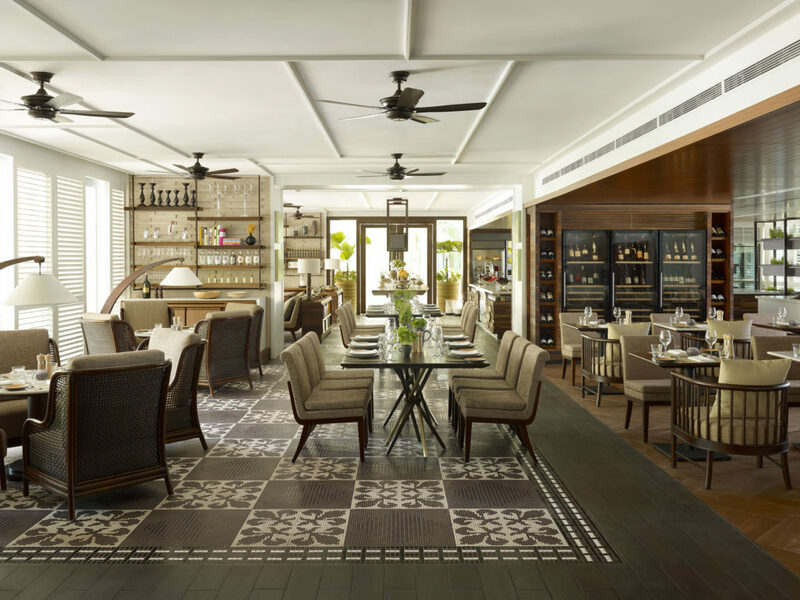 Tucked away in the quiet part of Singapore’s Orange Grove Road, Singapore Shangri-la is a respite away from the busy city life, making this hotel a popular staycation choice for locals. For those wanting to go to the city, there is a complimentary shuttle bus that departs every hour from the hotel to either Orchard station or Takashimaya Mall – the buzz places in Singapore where you should be if you want to go shopping. Garden Wing – Resort style grounds and rooms, greenery, waterfall (artificial), and a koi pond. This is where CHI the Spa is. Perfect for the leisure traveller. Valley Wing – the most exclusive wing for high-end and VIP travellers. The most basic room type is a deluxe, and it is all suites above that. Shangri-la Singapore is known as an urban resort in the city, and I am quite confident that it is the Garden Wing that has brought the hotel this title. With lots of natural wood, a balinese interior and a very open balcony that overlooks the lush gardens, the room certainly had a very resort type of vibe. 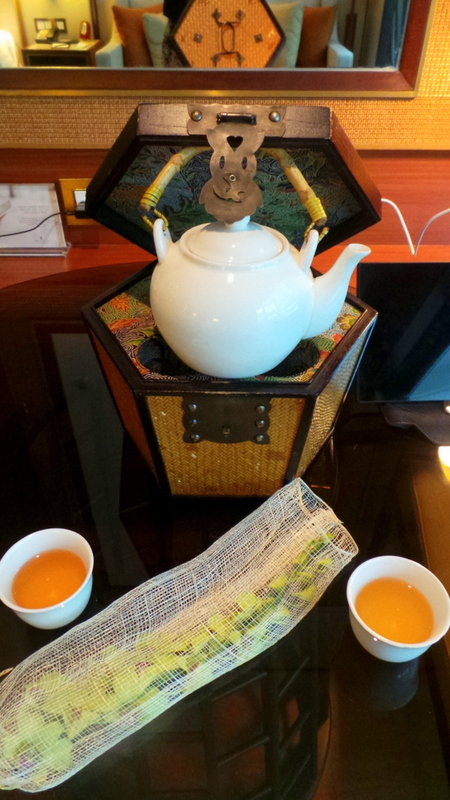 I love the welcome tea in the room, a signature among mainly Asian Shangri-la properties. Same concept as the Shangri-la’s Villingili Resort in the Maldives, (and I believe with other resorts of the Shangri-la group), the air conditioning automatically switches off when the balcony door is opened (or even ajar). This will switch back on once the doors are closed. The King sized bed was very comfortable and both sides of the bed had their own power outlets. 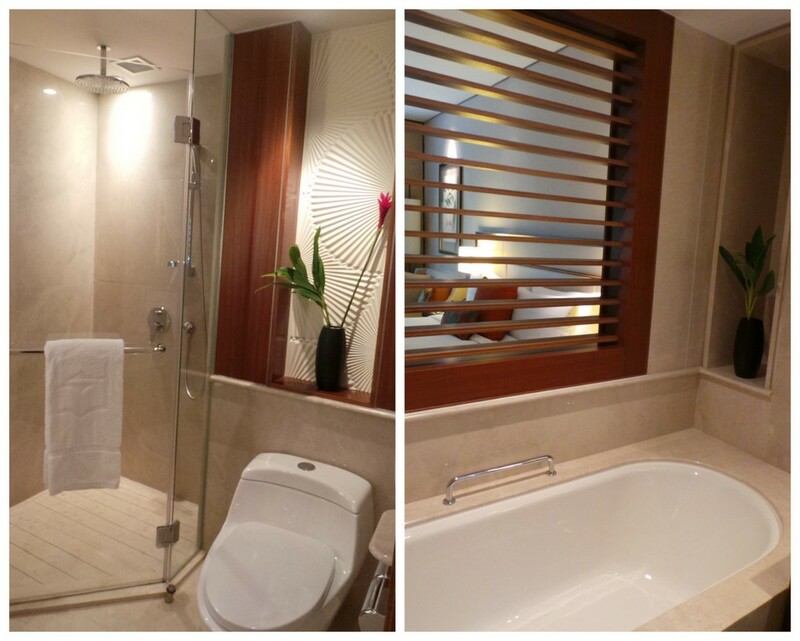 The bathroom was moderately-sized with the tub and shower separate. Bathroom toiletries are from Shangri-la’s house brand. The balcony was very generously-sized, and this was where I espied my first Shangri-la squirrel. 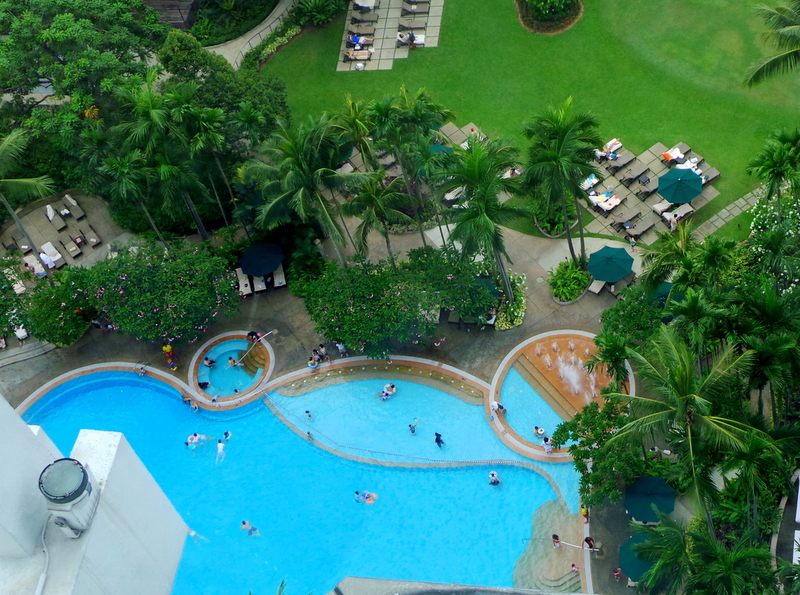 The large size of the pool, along with the vibrant greens and trees of the hotel is definitely what gives the hotel a resort feel. Situated next to the pool is The Waterfall Restaurant. Open for breakfast, lunch and dinner, the restaurant has a Mediterranean specialty with colonial-style interiors. 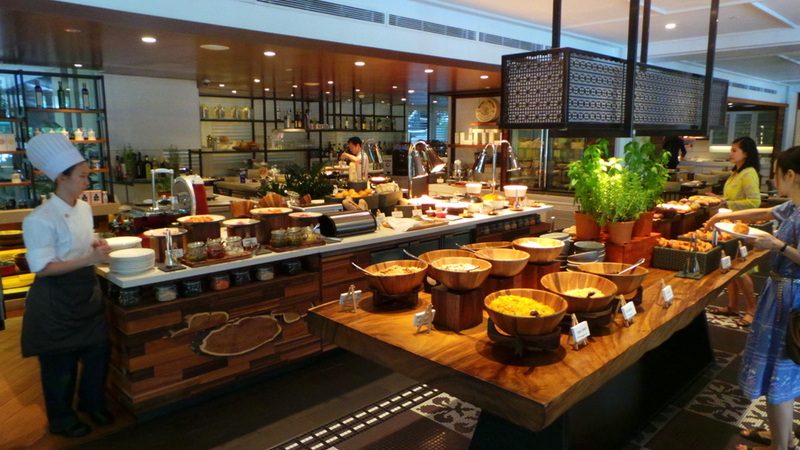 Consistent with all Shangri-la brands, breakfast was indeed a highlight during our stay. 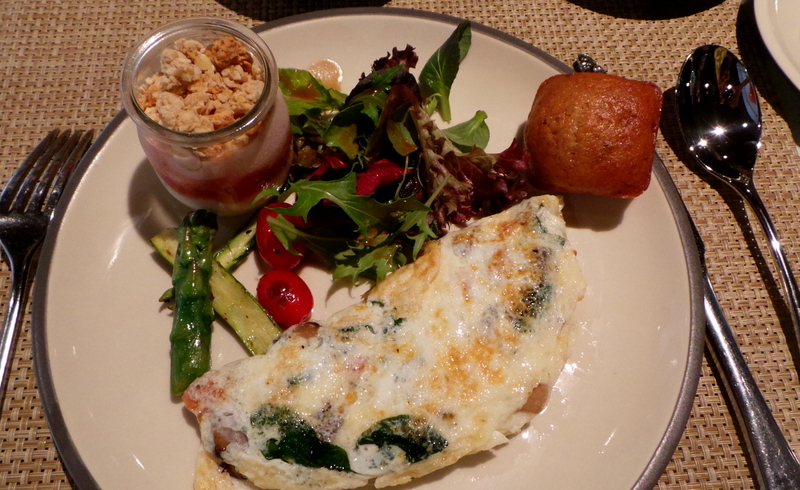 The buffet breakfast had a wide variety of savory, sweet, European/Western , Asian, cold or hot breakfasts. You can also order ala carte, or combine both, as I did. It was a varied mix. Most guests at the Garden Wing where we stayed were families and couples. The Tower Wing were mostly groups or larger families (in number and also in age) and solo business and VIP Travellers at the Valley Wing. We stayed during the weekend when it was understandably busy and the staff handled the full house with a no-nonsense efficiency whilst maintaining a friendly demeanor. 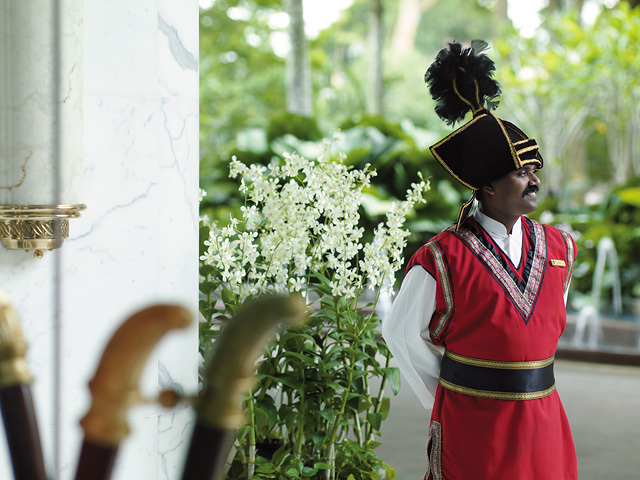 The doormen’s uniform, which emulates the Tibetan warrior – is the only uniform that has withstood 40 years without being modified or changed. This definitely brings a unique wow factor especially when first arriving at the hotel. Having been to Singapore previously, I appreciated the fact that the hotel’s location is away from the hustle and bustle. And though there is a shuttle to the city that runs every hour, those who want to just walk around on their own, at their own time, will need to consider this beforehand. Having said this, the nearest mall can be reached by a 15-minute walk. 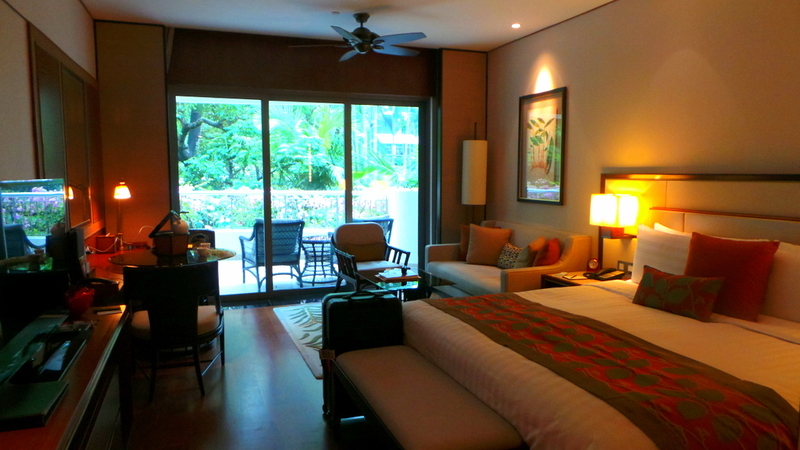 I can definitely see why the Shangri-la Singapore is popular for staycation weekends. As James Hilton had originally described it, the purpose of Shangri-la is, in a nutshell, to gather all things beautiful in order to prevent the world from hurtling to its doom. 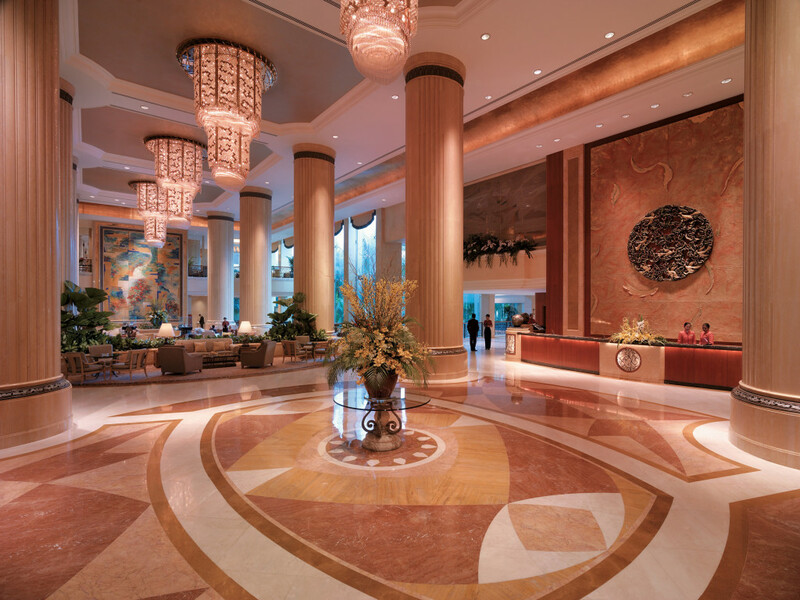 Though not quite as dark and morose in description as the novel, this is what the Shangri-la in Singapore served as – a quick escape and relaxation from the busy city life. 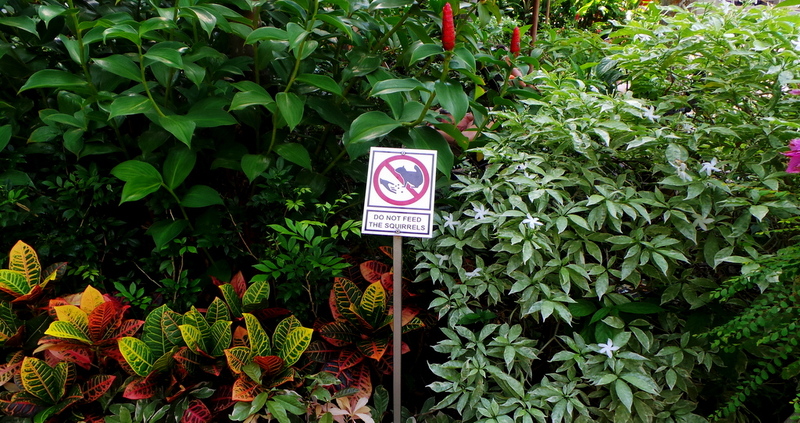 We stayed as guests of Shangri-la Singapore, however all views and opinions are my own. Aha, I’ve had an urge to get back to Singapore, haven’t been there for a long time after some youthful and very memorable stays. I’d love to stay with the kids at this hotel as the pool would work well for us and also a quieter atmosphere, but with access to the city centre. These days I’d really appreciate the five star experience, though I do have very fond memories of zero star stays in the past. Hi Seana, yes this hotel is really family-friendly. I find most Shangri-las are. Your “youthful and memorable” stays sound very interesting 🙂 It’s at the zero star places where good stories begin! That pool looks incredible, in fact the whole place does!